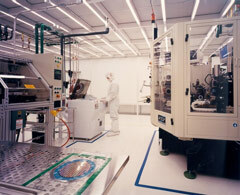 For over 35 years PortaFab has designed and manufactured cleanroom wall systems and modular components that service the specific needs of pharmaceutical and micro-electronics industries as well as industrial applications ranging from packaging rooms to process enclosures. Find a local cleanroom contractor or request a quote online to begin your custom cleanroom project or application. 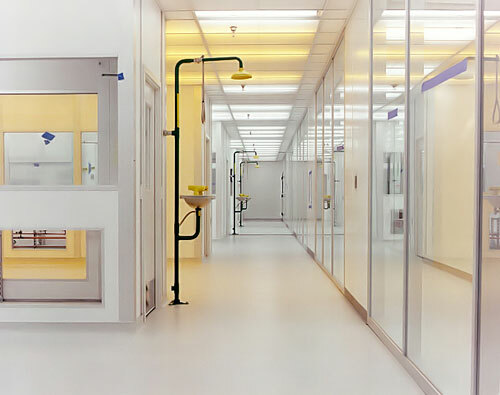 Our expansive line of modular cleanroom wall systems ensure that we will have the proper solution for your application while our design and engineering teams can help with the design and specification process. Designed for micro-electronics and nano-technology applications. Designed for life science, biotechnology and pharmaceutical applications. With the industry's most complete line of architectural cleanroom components, PortaFab provides unlimited design freedom without sacrificing functionality or value. From Class 10 environments to thermal enclosures, our diverse selection of wall systems and components make it easy and cost-effective to provide a custom solution for any particular end-application. University research lab constructed with PortaFab modular wall systems and components. Our commitment to maintaining the highest quality standards extends to our national network of specialized cleanroom contractors. All of our contractors maintain the highest quality control programs to assure compliance with all critical standards. As independent contractors, they choose to work with PortaFab because our systems are the most cost effective products for constructing quality cleanrooms. 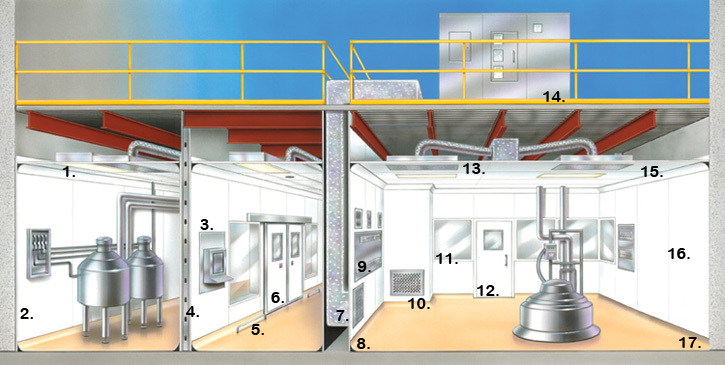 The following diagram describes a typical pharmaceutical cleanroom layout, while also highlighting some of the available features that can be incorporated into any modular cleanroom configuration. Read about bio-pharmaceutical cleanroom design guidelines or visit our cleanroom design overview page for in depth information about design criteria including cleanroom classification, airflow designs, common configurations and design guidance. Wire or rod supported T-grid systems with a variety of tiles to meet cGMP requirements. Electrical, mechanical and process piping can be integrated within cavity chases by using metal stud framework. 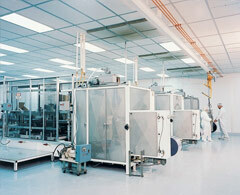 Flush cleanroom ceiling providing walk-on capabilities for maintenance access. Provides ability to skin existing concrete, block or sheet rock walls. Radius floor track with offset panel receiver provides flush transition between floor to wall finishes. Envelope structures create a free-standing structure capable of support AHU’s and support utilities and personnel. Flush openings for integration of service panels, utility chase boxes, fire extinguisher boxes. Electrical and mechanical between panels. Rounded snap-in cove allows easy to clean ceiling and corner transitions. Structural members can be designed within cavity walls to support load-bearing envelope structures. 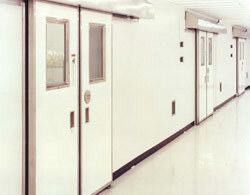 Utilizes a return air grille allowing the cleanroom floor system to be coved flush against the low wall return plenum. ½” thick uPVC coated panels finished to one or both sides of metal framework producing easy to clean surfaces. Stainless steel guard rails in high traffic areas. Glazing provides a flush, ledge-free surface. Eliminates the need for a return air grille and provides a more cleanable detail, reducing the number of crevices in room. High strength 2” thick molded seamless lightweight fiberglass panel for easy cleaning. Sealed non-absorptive panels with lightweight poured polyurethane foam for exceptional strength and dimensional stability.